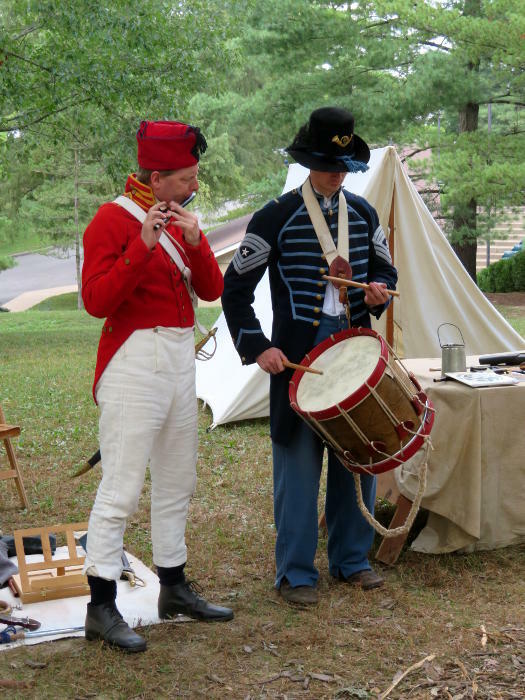 St. Louis, MO: Folklife Festival living history at Kirkwood Park « The Turner Brigade--Missouri Volunteers, U.S. 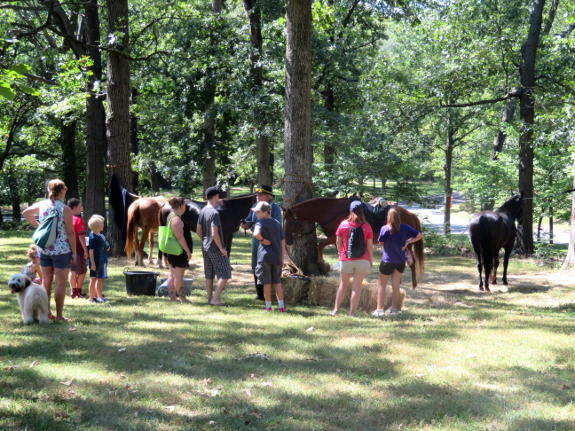 The City of Kirkwood sponsored the Folklife Festival, a part of the annual Greentree Festival, on September 14-16, 2018, at Kirkwood Park in Kirkwood, Missouri. Members of Company M and Company G participated. Company C 1Sgt. Paul Shetley talks with spectators on the picket line during the Folklife Festival at the Greentree Festival in Kirkwood, MO, September 15-16, 2018. The horses of Company C were a popular attraction. 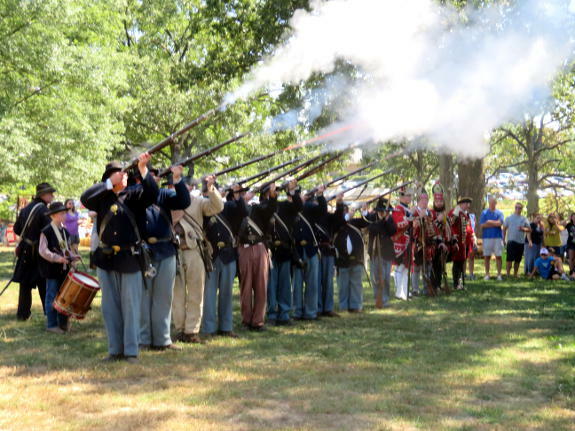 Company G fires a volley with members of the Confederate 11th Mississippi during the Folklife Festival at the Greentree Festival in Kirkwood, MO, September 15-16, 2018. 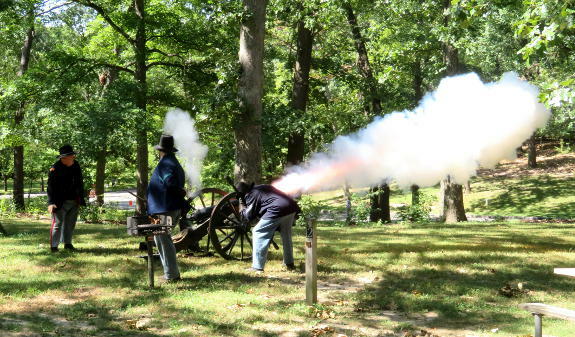 A Company M crew fires the Filley gun during the Folklife Festival at the Greentree Festival in Kirkwood, MO, September 15-16, 2018. Company C Capt. 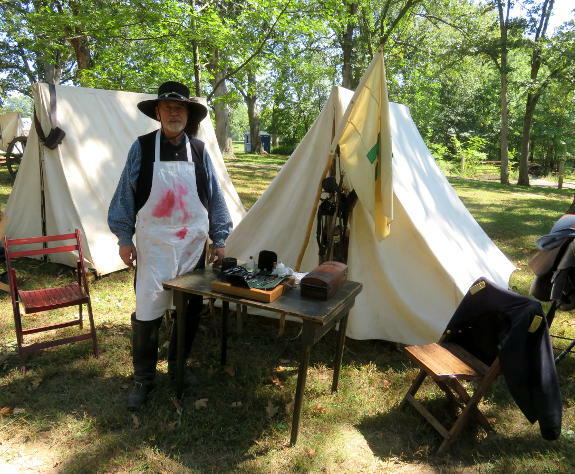 Emmett Taylor displays Civil War medical paraphernalia during the Folklife Festival at the Greentree Festival in Kirkwood, MO, September 15-16, 2018. Company G musician Duncan Noack drums with fifer Frank Aufmuth of the 1812 reenactors during the Folklife Festival at the Greentree Festival in Kirkwood, MO, September 15-16, 2018.